1. In a small bowl, whisk together cumin, coriander, canola oil, lime juice, zest and garlic. Set aside. 2. 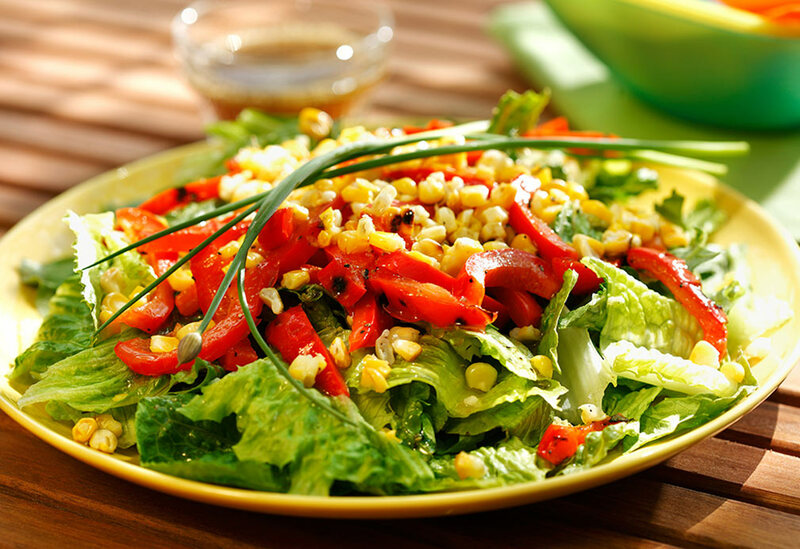 In large bowl, gently combine corn, tomatoes, onion, olives and vinaigrette. 3. Divide lettuce among four plates, top with salad and garnish with egg. *Cook's Note: You can replace the fresh shucked and grilled corn with 1 cup (250 mL) frozen corn. 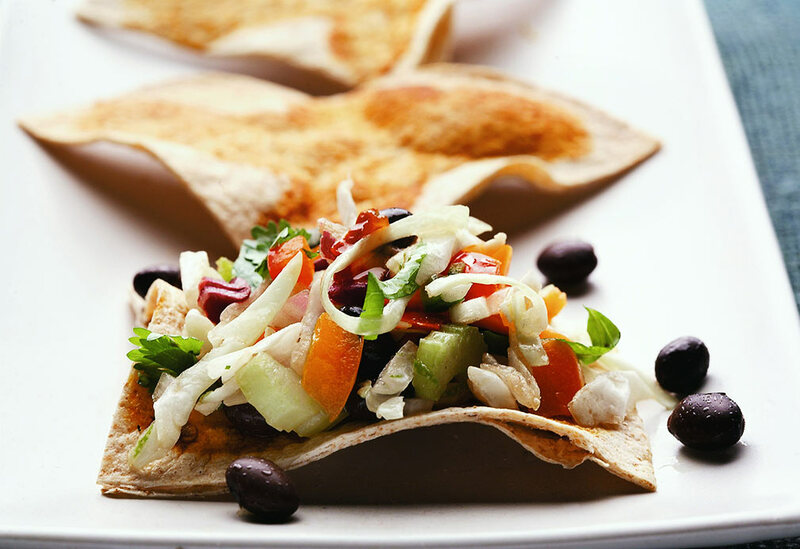 A Mexican twist on an old favorite. 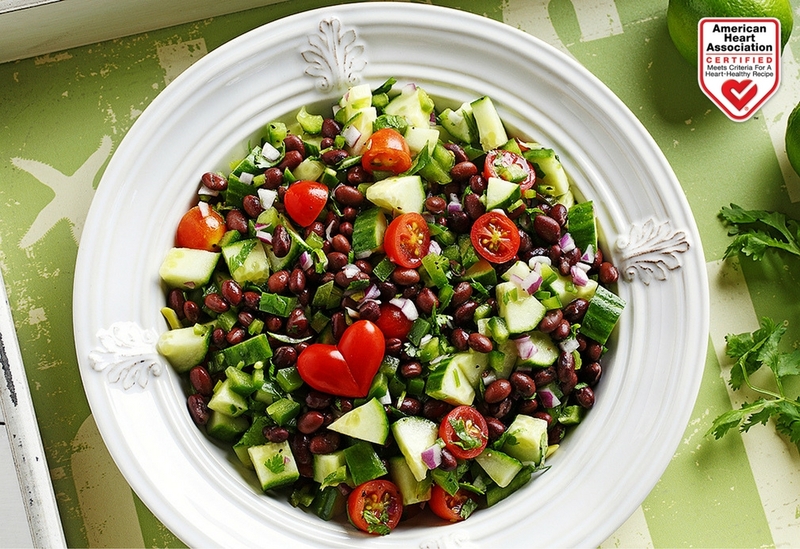 Beans add protein and flavor! Take advantage of your hot grill pan and cook multiple vegetables at the same time. Caramelizing corn and red peppers bring out their natural sweetness, which are complemented by savory chives. 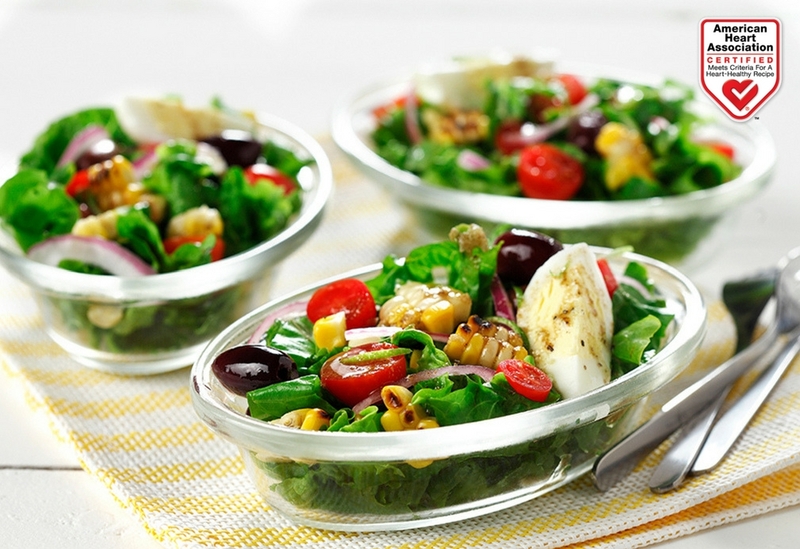 The dressing is a light and tangy blend of red wine vinegar, canola oil and smoky cumin - ingredients that enhance the fresh flavors of the vegetables without overpowering them.